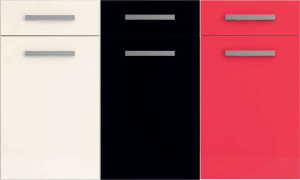 Introducing the Gravity and Unique kitchen door ranges! There are two types of people when it comes to designing a kitchen; the first, is someone who knows exactly what they want from colours and style right down to accessories and finishing touches whereas the other will only know what they want when they see it. Whichever category you fall in to, Lark and Larks can help, especially as we have just added two fantastic new ranges to our collection. The Unique range consists of 25 different designs which are available in an impressive 66 plain and wood grain finishes. This makes for loads of different design combinations so there is plenty of fun to be had choosing your individual look. 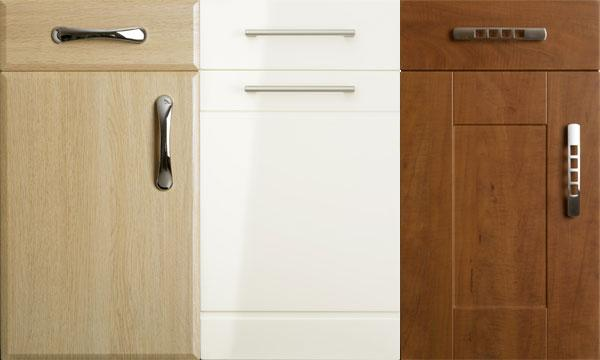 These doors are extremely durable and if you’re looking to go modern, the handleless designs are certainly worth considering. With matching accessories available, you can easily create a consistent kitchen design with the Unique range and with so many combinations, you can get creative! The Gravity range is one of our most stylish collections and is sure to appeal to anyone looking to create a sleek, modern kitchen. 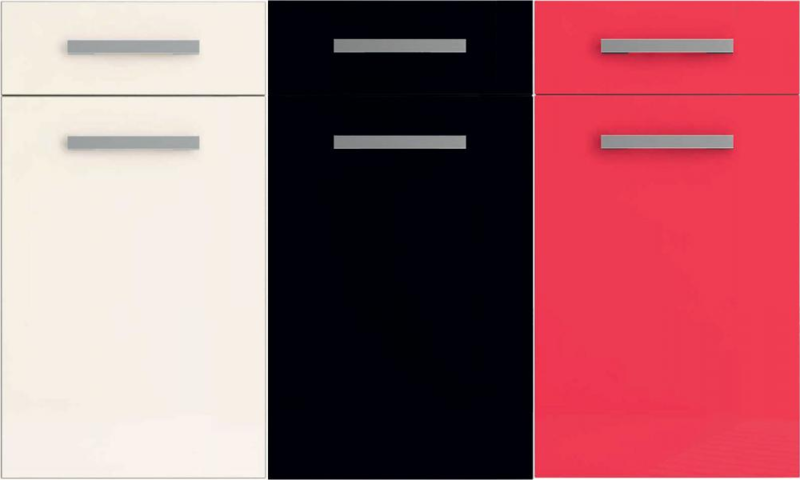 These kitchen unit doors come in an exciting array of colours from contemporary bolds such as black and white to daring red. If you want to go modern but don’t want to commit to a colour, there are some wood grain finishes among the collection too. Featuring an ultragloss acrylic coat and edging these doors are not only stunning but also extremely durable. 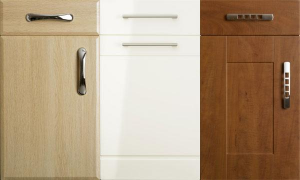 Both our new ranges come with a 6 year guarantee so you can be certain that your kitchen will stand the test of time. Got an awkwardly shaped kitchen? That’s not a problem either as both ranges come in standard and custom sizes so just have them made to measure if that suits your home better.